Certero have launched new modules for Salesforce.com and G Suite that will sit alongside our other modules, Office 365, Azure and AWS, all of which are part of our Cloud Asset Management solution called Certero for Cloud. Certero for Cloud is part of the world’s most advanced and modern IT Hardware and Software Asset Management solutions, which works individually or holistically with all products on the Certero Management Platform. Now, the solution delivers even greater control and management over cloud IT expenditure with these new modules. Certero for Cloud offers true next generation capability for a growing area of concern for many organizations – how to control and manage the growing threat of Shadow IT, Cloud Sprawl and Bill Shock across SaaS, PaaS and IaaS. 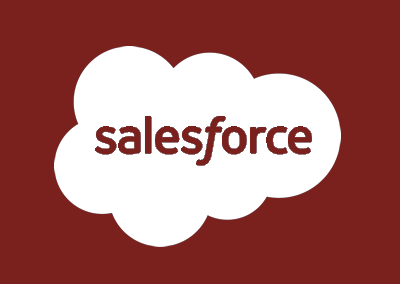 Certero is committed to solving these problems through the continued expansion of its Certero for Cloud solutions, with Salesforce.com and G Suite being the latest additions. Delivered in the cloud or on-premise, with out-of-the-box automation, a single source of granular data and advanced analytics, Certero for Cloud gives organizations single pane of glass visibility of their applications and full control over their cloud IT expenditure, making it the world’s most advanced and modern Cloud Asset Management solution. If you are concerned about cloud IT expenditure spiraling out of control or your Salesforce.com instance has grown wild and unmanageable, speak to Certero’s Cloud Licensing Experts today – we are always here to help.